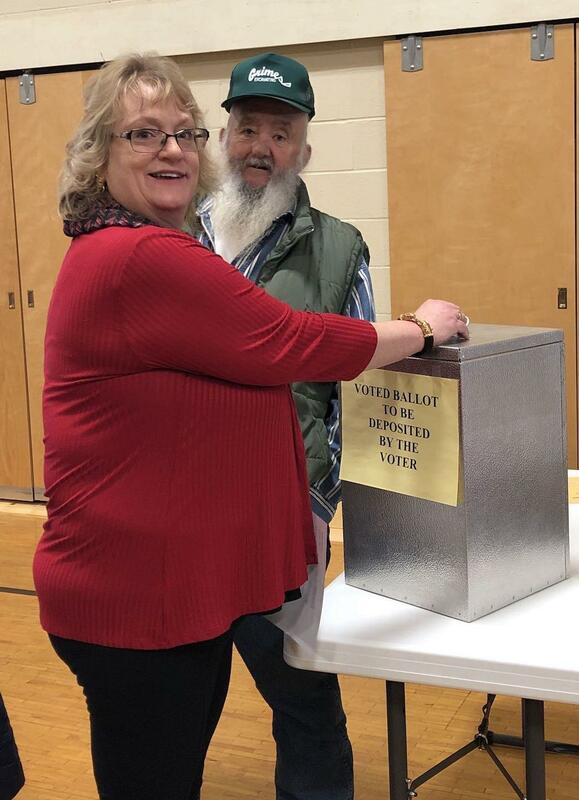 In Wolcott this Town Meeting Day, voters were asked to make a choice between the incumbent town clerk and her assistant of 29 years. Sometimes, especially in small towns where people have lived alongside each other for decades, elections can get personal. 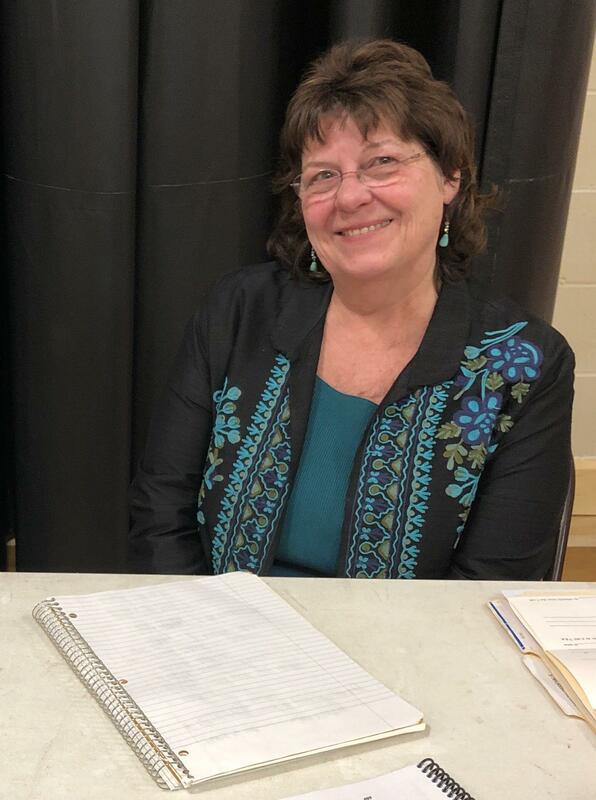 Such was the case in Wolcott on Town Meeting Day 2019, when two women who have been running the town together for nearly three decades went head-to-head for the top job. Linda Martin has been Wolcott’s town clerk for 32 years. For the last 29 of those years, Belinda Clegg has been Martin's loyal assistant. But this year Clegg decided she had enough of playing second fiddle. She ran against Martin. Linda Martin has been Wolcott's town clerk for 32 years. "Nominations are closed," Hester-Ingram said. "Linda Martin, Belinda Clegg are our candidates for town clerk for a period of three years, and we will do a paper ballot." The decision hung like a dark cloud over the remainder of town meeting. Many voters were stunned by Clegg's apparent betrayal. Voter Bill Cotten seemed to speak for everyone in the crowd. "I think a lot of both of the ladies that have run this town for many years … and I’m really," Cotten sighed, "I don’t know how to express how I personally feel about what this has come to for the town of Wolcott." The vote caught people by surprise because the rift rose so quickly. Clegg said she was under the impression that Martin was retiring and it was, finally, her time to step up. But then she recently overheard Martin tell a taxpayer she’d be running for another three-year term. "So I asked her about it and she told me, no she was not retiring," Clegg said. "And so then I had to make the decision, what I needed to do." Martin said she didn’t know Clegg intended to run for the job until Clegg emailed her over the weekend. For the last 29 years, Belinda Clegg has been assistant town clerk in Wolcott. "I received a email on Saturday around noon that my assistant had decided to run against me. I was quite surprised," Martin said. "And then yesterday she offered me a part-time job to come in and help her how to learn the things she didn’t know." "I was let go Monday," Clegg told voters. "I was fired as the assistant town clerk in Wolcott because I decided to run for the position"
"By law, I have the authority to revoke my appointment of an assistant, and I get to appoint assistants," Martin said. "That’s right in statute." In the end, Martin held onto her job, defeating her former deputy by a vote of 81 to 42. Clegg did, however, snag a small consolation prize. Later in the meeting, no one in the stunned crowd spoke up to nominate a school district clerk, a position formerly held by Martin. After the moderator’s repeated calls for nominations, Clegg nominated herself for the unpaid post. She was elected without opposition. VPR News is tracking the 2019 Town Meeting Day votes on town and school budgets from around Vermont. Find results here and share the results from your town with us.